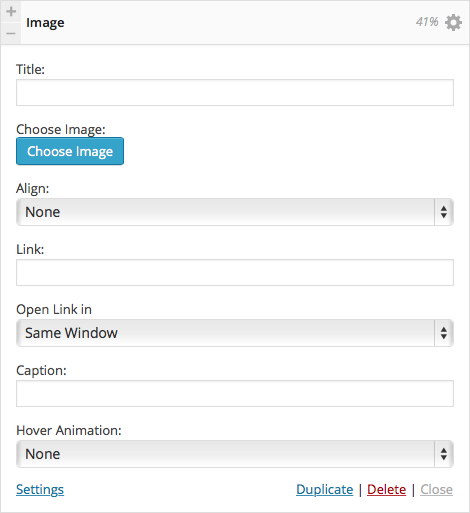 With this widget you can add an image anywhere in your site. In addition, you can set a link to that image, in this way you can use this widget for many different uses. Title: You can add a title to your image. Choose Image: Click here and you can upload an image from your computer or take an existing one from the media library. Align: Set the image’s alignment: Right, left or center. Link: You can add a link to every image. Open Link In: Choose whether to open the link in the same window or in a new tab. Caption: In this field you can insert the image’s description.